Add bread piece to the chopped veggies, and toss with olive oil and balsamic vinegar. 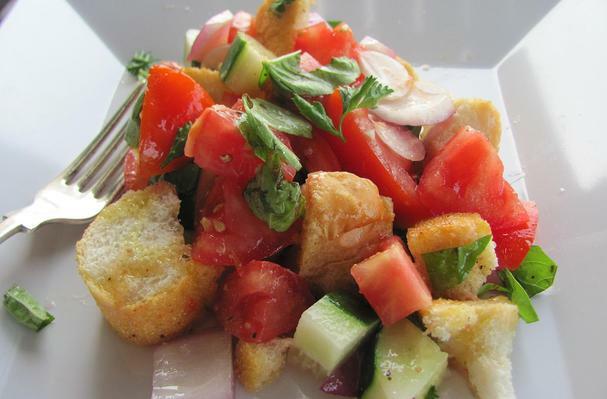 Originating from Tuscany, panzanella is a summer salad of tomatoes and bread. It's also referred to as "leftover salad" as whatever remains in the refrigerator can be tossed in: basil, lettuce, carrots, capers, hard boiled eggs, cucumbers.